The Washington Township boys’ soccer team beat Jackson Memorial, 2-1, to win the South Group 4 championship for the fifth straight season. 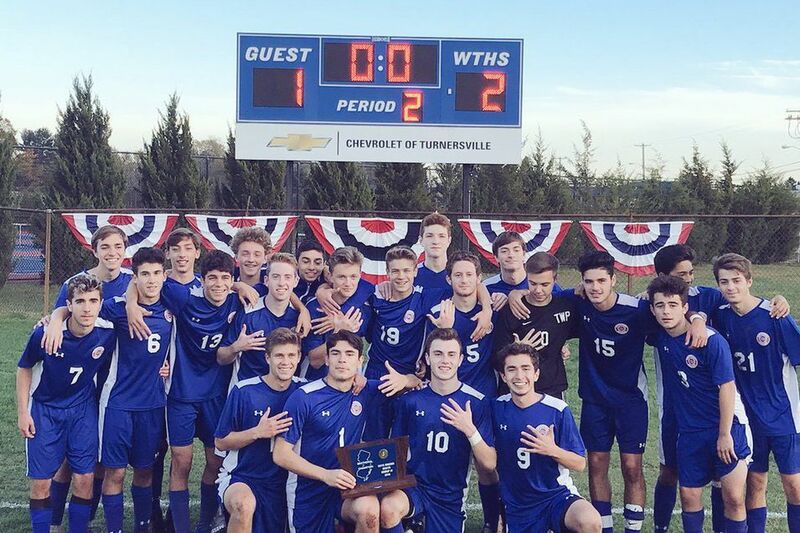 Jake Logar and Arturo Serano scored to lift the Washington Township boys' soccer team past Jackson Memorial, 2-1, to win its fifth straight South Group 4 championship on Thursday. Chad Yates had one assist. St. Augustine fell to Christian Brothers, 4-1, in the Non-Public A finals. Antonio Matos scored for the Hermits. Delran beat Manasquan, 3-0, in the South Group 2 championship thanks to goals from Christ Hunt, Daniel Strohlein and Jayson Vandermark. Cole Gifford and Frankie Taylor recorded one assist apiece. Eric Pierre scored as Seneca defeated Pinelands, 1-0, in the South Group 3 finals. Aaron Harrison's goal helped Glassboro shut out Palmyra, 1-0, to win the South Group 1 championship. Luke Archibald tallied one assist. New Egypt lost to Highland Park, 3-0, in the Central Group 1 finals.